Ray was outstanding. My situation was unique since I was out of state. He coordinated all repairs and did it using personal contacts so all work completed was very inexpensive. He worked through multiple lowball offers and we got our asking price in the end. I'll use him again in the future and will be recommending him to all my friends in the area. Great experience! Sold a Single Family home in 2016 in Waddell, AZ. Bought a Single Family home in 2017 for approximately $575K in Waddell, AZ. We couldn't be more happy with our experience! Ray was very friendly and professional. He was always readily available to show us houses when we asked. Answered all our questions, made sure we knew what was going on every step of the way. Being a first time home buyer, he was so patient and helpful to us. He even gave us constant updates on the day of closing! We couldn't ask for a better realtor. Ray is amazing! Highly recommend him and his team! Bought a Single Family home in 2017 for approximately $300K in Surprise, AZ. Throughout the entire process Ray Barnett was attentive, and actually cared what our goals were in finding a home. He provided quick answers and response to our home desires. We came from another state, so our time was challenged, and the attention needed was great while we were in town searching for that special home. Even while in personal pain from an significant accident he had just a day before, Ray still came out to assist us! His honesty and his professionalism is impeccable. We have the home we were searching for because of Ray, and now we also have a great new friend to share that home with. I highly recommend Ray for your Real Estate needs. Bought a Single Family home in 2016 for approximately $375K in Surprise, AZ. Ray impressed us from start to finish on the purchase of our new home. He took the time to understand what type of house we were searching for and tailored his search to help us find the perfect match. Ray was always prompt, responsive and available when we needed him to answer our questions. Additionally, his knowledge of the market and West Valley area is impressive which allowed us to rest assured considering we were moving from out of state. After finding the house we were interested in, he enabled us to negotiate the best purchase price. There is no question that we received a great deal with Ray by our side. He is not afraid to speak up on your behalf. Furthermore, Ray's superior knowledge of home construction makes him more effective than any realtor we've ever had. He would frequently check on our new construction progress and raise any concerns to us. His attention to detail allowed us to trust him, especially since the majority of the process was accomplished while we were out of state. If you pick Ray as your realtor, you will not be disappointed. Bought a Single Family home in 2016 for approximately $400K in Buckeye, AZ. She has exceptional personality, knowledgeable and professional; She helped me to find the house I needed. She responds promptly when I request consultation or advice. Bought a Single Family home in 2016 for approximately $225K in Laveen, Laveen, AZ. Look no further! You have found THE AGENT. My husband a I got in touch with Ray via his wife who was representing a seller on a home we saw on Zillow. I contacted her and she said her husband Ray was a "Buyer's Agent" Once in touch with Ray, we knew right away, he was going to be our agent. Given we were out of state, Ray took the time to do a video walk through of a pontential home for us, it was a great way to get a feel for the home since we couldn't physically fly to AZ everytime we liked a house. When we did narrow it down and put an offer in, I flew to AZ, looked at the home and rescinded the offer and Ray took me to 7 other homes I had made note of and was very knowledgeable about the areas and what we should be focusing on when doing a walk through as each time you walk the same house you see knew things. We found him to be an excellent communicator and extremely knowledgeable in his field. When we had question, they were answered, his team is also top notch! On our final walk through, the seller had not corrected items that were contractually agreed upon, Ray was on it, called the agent, got it handed with even in the stressful situation, he was calm and professional. There are a lot Ogden agents out there and this is the one you want! Bought a Single Family home in 2016 for approximately $275K in Goodyear, AZ. Amy and her team at Barnett did an outstanding job for us coming and going! She not only managed to maximize our return, but also along with Ray Barnett help us to down size, and place us in a lovely home. We cannot say enough about this first rate organization , but if you want your home sold, you better call. Thank you the Barnett team!! Sold a Single Family home in 2016 for approximately $400K in Waddell, AZ. Jennifer is really awesome at what she does. She understands my needs when it came to looking for a new house for my family and I. We were able to build the layout the wife and I wanted within our price range. Bought a Single Family home in 2016 for approximately $275K in Laveen, Laveen, AZ. From start to finish Amy was on top of every situation. We would say she was very honest and met everyone's expectations on our house sale! She also helped us start build on our new house and negotiated all angles very well. Honestly, there is not a better person that we could have picked to work with. A+++++ 100% hands down best realtor to work with! . Now on to bigger and better things and it wouldn't have been possible with out you and your team! Thank you Team Barnett for helping our family through this process and making it as less stressful as possible! Bought and sold a Single Family home in 2016 for approximately $250K in Waddell, AZ. Amy is very professional and also extremely helpful. She always returned promptly my call, text or email and I never had to call her twice or chase after her for answers or any of my concerns. She is honest and really to go to the extreme to keep her client happy. She gave me a credit of $500.00 out of her generosity without me asking for it to keep me as a happy client which had no fault on her part. She kept us up to date with viewings and statistics as the each viewing happened. She and her assistant kept us updated every step of the way through the escrow process as I am a Canadian and I don't understand the sale process and lots of time lost in the process. I have no reservation whatsoever to recommend her to anyone looking for a good realtor to look after their interest. Sold a Single Family home in 2016 for approximately $225K in Waddell, AZ. We used the Barnett Team to both buy and sell our homes. Amy worked for us as the seller's agent. We had acquaintances who were realtors and offered to list our property, but we had done that in the past and the house sat for six months with no offers and very few viewings. When it came time to list it again, I wanted someone who would get the job done. I did some research and noticed Amy's listings went from active to pending in a very short time. After meeting with Amy, we were confident she could get the job done. She worked her magic, and we went from active to closed in less than two months! Sold a Single Family home in 2016 for approximately $400K in Litchfield Park, AZ. My family and I were living in Japan when we first began looking at houses. We knew nothing of the South Phoenix area and relied heavily on Jennifer to provide us with insight on the area and to investigate homes we were interested in. Not only did she give us the information necessary to decide to purchase a house from abroad, but she was a pleasure to deal with throughout the entire process. I highly recommend Jennifer if you are interested in purchasing a home in the Phoenix area. Bought a Single Family home in 2016 for approximately $250K in South Mountain, Phoenix, AZ. Amy provided great customer service, she responded very quickly to my calls, she was very helpful, professional and knowledgeable, I would not hesitate to call Amy if I ever need another real state transaction and I will definitely recommend her to family and friends. Amy sold our home within a week. She knows the market and knows how to price your home to sell. We will use her again if we are ever in the market to sell a home. Sold a Single Family home in 2016 for approximately $250K in Waddell, AZ. Ray Barnett and the Barnett team are awesome! Having worked with some pretty lazy relators in the past and now working with Ray, I have gained higher expectations for realtors I may have to deal with in the future. Ray was dedicated to submitting offers and contracts at all hours, even while on vacation. After losing a few bidding wars, Ray helped us stay positive with continuing our house hunt until the very end. Ray is very knowledgable with what to look for during the option period and negotiating fixing items around the home. I highly recommend Ray to anyone nervous about buying their first home! Bought a Single Family home in 2016 for approximately $350K in Ahwatukee Foothills, Phoenix, AZ. Ray was very responsive and easy to work with. He has a team that supported me through the process - answering questions, providing referrals, and ensuring everything went as smooth as possible. We will definitely use him again! Bought a Single Family home in 2016 for approximately $300K in Waddell, AZ. As a licensed agent in Texas, I can attest to the absolute professionalism of this team. The Barnett team is hands down the easiest group of agents I have ever had the pleasure of working with. Ray personally catered to our ridiculous last minute requests and did so with a sincere smile on his face. They made a complicated contract process look so easy and whatever issues arose were effortlessly squashed by their vast knowledge of the field. I would recommend this team to family, friends and anyone who would hear me ramble on about how great the experience was. Thanks guys! If you're looking for an honest, knowledgeable, negotiator, caring, and awesome Realtor , then Ray Barnett is your guy!!! My family and I had the pleasure to work with Ray and The Barnett Team and we had the best experience ever. He helped us find our first Home Sweet Home. I can tell you that I met quite a few realtor's when I started my search back in 2013 and most of them didn't care , would not call me back on time and would search for their needs and not mine. I am so great full that I got to work with Ray and I can almost guarantee you that you will have the best experience if you hire him as your Realtor! Bought a Single Family home in 2016 for approximately $175K in Maryvale, Glendale, AZ. We chose Amy because of her knowledge of the Waddell, AZ area. She was very helpful in establishing our sale price. Her professionalism was outstanding, and we were very impressed with the photos of our home. Her knowledge of the area and contacts gave us a one day sale. Highly recommend Amy Barnett. Sold a Single Family home in 2016 for approximately $175K in Surprise, AZ. Amy is an extraordinary realtor with great knowledge of her profession. She utilizes today's marketing strategies with far greater reach than your average realtor is capable or has the knowledge to do. She was great to work with from our initial meeting until closing and is diligent and meticulous in all she is part of. I would highly + recommend her to anyone I know that is looking to list their home. Sold a Single Family home in 2016 for approximately $350K in Surprise, AZ. While I was interviewing agents to sell my home, I candidly told Amy about a personal tragedy I was going through. Without a second thought, she not only gave me her cell phone number, but also her husbands and assured me I could contact them any time if I needed help. I knew at that moment, I wanted her to sell my home. She and Lacy were there every step of the way. Emails were always answered immediately. As you know home buying and selling are extremely stressful situations, and throughout the entire process, she maintained her professionalism with a calm and friendly demeanor. I could not have asked for a more knowledgeable, professional agent to sell my home!! Sold a Single Family home in 2016 for approximately $325K in Waddell, AZ. Amy is a phenomenal realtor! With her guidance and knowledge of the area we sold our house in 9 days close to asking price! She helped us with every aspect from what price to list, staging, photographs, negotiating the terms of the offer, etc. She was always there when we needed her and our calls and emails were returned promptly. I would recommend her to everyone! Sold a Single Family home in 2016 for approximately $300K in Waddell, AZ. We worked with Jennifer when we started building our new home. She walked use through the process from start to finish. Kept us well informed along the whole way, and even sent us pictures at different phases during the build of our new home. Working with her made from a great home buying experience, we were not just another sale to her, She was always happy to help us even if it was her day off. I Couldn't have asked for a better person to be along my side on building my first home! Bought a Single Family home in 2016 for approximately $325K in Laveen, Laveen, AZ. Amy's knowledge of the area and the market are exceptional. 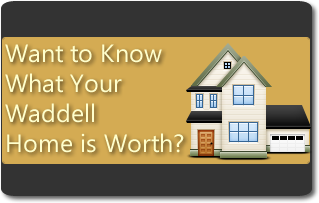 This knowledge allowed her to help us price our home to sell quickly and at market value. She told us she expected to sell the house within 2 weeks and a contract was signed on the day marking exactly two weeks. The way she markets the properties almost guarantees maximum exposure to help the property sell as quickly as possible. She also provided great information on how to stage the house. The communication is amazing. Whether it was by her or her assistant, Lacy, our questions were answered quickly and professionally. Updates were given on a regular basis and we didn't have to worry whether or not we were being taken care of. We felt as if we were her only clients. If you live in the Waddell area and are planning on selling your home, I would strongly recommend Amy and her team. We read all her existing reviews and talked with people we knew who have worked with her before deciding to hire her. Without a doubt, she lives up to everything we read and heard. You will not be disappointed. Jennifer is an amazing real estate professional. Jennifer kept us informed every step of the way in our new build home. She was professional and friendly and we will be recommending her to friends and family. Jennifer has a deep knowledge of the local real estate market and offered exceptional advice when called upon for assistance. Jennifer managed quite a few new builds during the time we were going through the building process of our new home but in spite of her heavy work load she always took the time to answer our questions and keep us informed of progress. Thank you for an awesome experience. Bought a Single Family home in 2016 for approximately $300K in Laveen, Laveen, AZ. Jennifer was extremely helpful with the purchase of my new home. She made the process stress free and was very thorough with the explanation of any questions that I had. From assisting with the loan process to helping with things that needed to be changed around the house, I knew I can always depend on her exceptional customer service skills to lead me in the right direction. I would recommend her services to anyone, especially first time buyers as she has the patience to explain everything in a calm and friendly manner. Bought a Single Family home in 2015 for approximately $300K in Laveen, Laveen, AZ. Ray Barnett made my home buying experience amazing, plus a super easy process. I couldn't be more grateful for him going above and beyond my expectations. If you are looking for a realtor, he's your guy! Bought a Single Family home in 2016 for approximately $175K in Peoria, AZ. I worked with Jennifer during the purchase of my first home (a new build) and my experience was excellent. The home buying process can be stressful at times and Jennifer was always there to calm me and help me through each stage. She is extremely knowledgeable about the home buying process and very forthcoming with information and sharing her knowledge. She was very responsive to my questions and inquiries and often exceeded my expectations. While working with Jennifer I always felt she had my best interest in mind, that she presented me with all of my options and she provided her honest unbiased opinion. I would definitely use her services again and I have already recommended her to others. Jennifer was our agent when we bought at Paseo Point in Laveen. She made everything so easy! She knew how to explain everything to where we could understand! Extremely friendly and kind. She is always available when you need her if you have questions or concerns. Just an amazing experience and great for it being our first time buy! Jennifer is knowledgeable and professional. Although the home buying process can be stressful, Jennifer is extremely patient and understanding which helped to minimize the stress. She listened to all our needs. She communicated with us throughout the entire home buying process and was always willing to answer any of our questions promptly. I would highly recommend Jennifer. My husband and I were very pleased with the services provided by Jennifer Finken. We met Jennifer in February 2015 when we decided to begin looking for a new home. Even though we wouldn't be ready to purchase until the fall of 2015 and told Jennifer so, she was very patient with us and kept in contact with us via email on a regular basis. She is persistent, but never overbearing. She is also very knowledgeable and answered all our questions and/or concerns promptly as though we were buying a home tomorrow. We are so very happy that we met Jennifer when we did and that she never let us forget her or the beautiful neighborhood that we now call home! We would definitely refer Jennifer to anyone needing a real estate agent. She's incredible! Sold a Single Family home in 2015 for approximately $300K in Laveen, Laveen, AZ. Amy was very knowledgeable and always willing to answer all of our questions! Would definitely recommend her and use her again! It took us 3 years to list our property and she was always there along the way! Sold a Single Family home in 2016 for approximately $200K in Waddell, AZ. In today's world it seems quality, knowledge and dedication is something many lack. Ray Barnett is refreshingly, the epitome of all those traits. He took care of us, made time to work with us, for us, and got us the perfect home. We struggled to find something that ticked all the boxes due to our desire for a particular area and Ray worked hard, kept us upbeat and helped us find exactly what we needed. I would recommend him if you're looking for a great experience from a knowledgeable and dedicated agent. Ray was excellent with helping me purchase a house. He was very knowledgeable in many areas. He did a great job helping to negotiate the deal in a timely manner. I would highly recommend him and use him again if I were to purchase or sell a home. Bought a Single Family home in 2016 for approximately $200K in Waddell, AZ. I can't say enough good things about Amy!!! I've had a couple of negative experiences with realtors that helped me to realize that I wanted someone with experience and a proven track record. It was also really important that the realtor I chose be prompt in their responsiveness as there are many questions and decisions when buying or selling a home. Amy exceeded my expectations and more! With her guidance and expertise,, we were able to quickly sell our home! She knows what she's doing. She loves what she does and it shows! I would use her exclusively again and again and would highly recommend her to sell your home. Sold a Single Family home in 2016 for approximately $275K in Surprise, AZ. We can't thank Amy and Ray Barnett enough for their expertise and knowledge as our realtors! They both were so patient and helpful throughout the whole process and they, and their team, always went the extra mile! We would definitely recommend The Barnett Team to anyone looking to sell or buy! Thanks so much John & Jan! Bought and sold a Single Family home in 2016 for approximately $275K in Waddell, AZ. Fate put us in the hands of our amazing realtor Amy. She showed her extensive knowledge and professionalism throughout the whole process of selling our home. Amy, Lacy, and the entire Barnett Team were on top of things the entire time. Any hiccup was smoothed over seamlessly and promptly. Amy helped us score an offer above asking price within a day of listing! I will recommend Amy and her team to anyone and look forward to working with them soon! Sold a Single Family home in 2016 for approximately $175K in Laveen, Laveen, AZ. Ray was fantastic! He worked tirelessly to find us a home. Once we made an offer he was there for every step to ensure our interests were protected. I would use Again and recommend him to anyone. Bought a Single Family home in 2016 for approximately $350K in Paradise Valley, Scottsdale, AZ. My experience with Amy and her entire team was outstanding. It's been a long time since I bought and sold property - she was patient, understanding, responsive, supportive and an advocate for my interests. Amy and her team are true experts and I highly recommend them. Bought and sold a Single Family home in 2016 for approximately $425K in Glendale, AZ. Amy is a spectacular realtor. She sold our house on the first day, first showing. After that she made the closing process easy. I would recommend her to anyone. BEST REALTOR EVER! Sold a home in 2016 in AZ. We had listed our home with another agent. The home had been on the market approximately 60 days with little activity. After deciding to Amy, we thought we had an uphill battle. We were wrong. Amy grew up in Waddell and knows the market. Her marketing strategy was very productive. We had an average of 7 showing a week and on day 30, we had a full price offer. We even beat out houses in the neighborhood that had slightly larger SF and pools. We should have used Amy from the very start. We highly recommend Amy and the Barnett team. Very professional and commuication was always immediate. Thanks so much Brian & Vicki! Amazing realtor! Amy displayed excellent marketing and selling strategies. She was able to sell my house quicker than I expected; I wasn’t even ready to hear “we have an offer”, and I received multiple offers. She is extremely knowledgeable in her field, prompt, always ready and available to answer any question you may have. Her communication skills along with her friendly yet professional personality truly make the selling and buying process worry and hassle free. I simply love Amy and enjoyed working with her. She will be the only realtor I will ever use and recommend to others! Thanks so much Jessie & Eva! Amy Barnett provided us a very positive and professional experience throughout the listing and selling of our home. She offered suggestions to prepare our home before each showing. Amy was in constant contact and extremely helpful. We would definitely recommend Amy Barnett to someone selling their home. Thank you Ted & Brenda! Sold a Single Family home in 2016 for approximately $450K in Waddell, AZ. Amy was HIGHLY recommended to me by some of her previous Clients. She and her team delivered the absolute best service possible. Her professionalism and integrity is top notch and commendable! Selling one's primary residence is a big "life moment" and Amy kept all the ripples out of the pond from beginning to end. I would recommend Amy Barnett to anyone considering selling their home. Thank you Amy and Team from the bottom of my heart! Sold a Single Family home in 2016 for approximately $150K in Buckeye, AZ. Amy was a pleasure to work with. She is very knowledgeable about the area and the market. She was always available to answer any questions. Any roadblocks we hit, she was there to offer solutions. She is very personable and professional. We would recommend her and her team for your west valley real estate needs. Sold a Single Family home in 2015 in Waddell, AZ. Five stars is not nearly high enough! We had a very difficult closing due to the seller and the only reason we closed on time was because of Ray's hard work and dedication to us. He was great to work with, very knowledgeable; we couldn't have asked for anything more or found anyone better! Thank you very much everything Ray! Bought a Single Family home in 2016 for approximately $325K in Goodyear, AZ. He was a great realitor. He worked around my schedule and met with me when I was free. Worked diligently to find the house I was looking for. Knew the area I was looking in and when we found the house made sure I got a good deal. Ray is an excellent Real Estate professional. He is very polite, easy to work with, flexible on schedule and constantly smiling. He empathizes with difficult steps in the process and he actively acts as your agent throughout the process. He is more than just another real estate agent, he is a hard working partner in the process of making a home purchase. My home purchase wasn't easy and it took a switch in lenders to finally resolve the purchase of the home. Ray worked with the seller agent to ensure the process was understood and that they weren't left too anxious about anything. You can't go wrong with choosing Ray to help you find your self a house to make a home. Amy is the best realtor ever! Highly recommend her! My house sold within days of listing and she set the record high sale price for my neighborhood. Thanks Amy! Thanks Jeff! So great working with you too! Sold a Single Family home in 2015 in Buckeye, AZ. Working with Amy has been a very very good experience. She was always there for me to answer all of my many many questions. She also kept me very calm and walk me through every step of the way. I would definitely recommend Amy to anyone that is getting ready to sell their home. Sold a Single Family home in 2015 for approximately $175K in Maryvale, Phoenix, AZ. My experience with Amy was an eye opener. At the beginning of our search for our best deal she gave me advice that I did not readily accept. The reason is not important. What is important is that my reluctance caused some delay in requests to see the property so, time was lost. Amy gracefully complied with my wishes even though others might simply have said "get someone else". From that point on she guided me with an expertise that showed she has extensive knowledge of the neighborhood and the current market. She even personally took care of several items that required a resolution in lieu of asking me to do them from over 2500 miles away. I would not hesitate to highly recommend Amy as the best realtor I have had to deal with over several experience. Hats off to Amy and her team!!! Thanks so much Ed & Doris! It was great working with you as well! Sold a Single Family home in 2015 for approximately $325K in Waddell, AZ. Do you want to put your house on the market and have endless people walking through your home hoping they choose yours ? Or, do you want your house sold for top dollar in a very short amount of time ? Amy is going to tell you things you probably don't want to hear and suggest you address the ugly spots of your home. You may disagree or feel that it is unnecessary, as I did. Ultimately I came crawling back to her and followed her instructions and my house sold for more money in a shorter time frame after taking her advice. It's your choice. I was stubborn, I recommend you listen the first time. Good luck ! Thanks Kyle & Darla! Great working with you too! Sold a Single Family home in 2015 for approximately $200K in Waddell, AZ. Amy and Lacy were a pleasure to work with. Amy is very knowledgeable about the area and was confident with our listing price. I would recommend her team for your west valley real estate needs. Sold a Single Family home in 2015 for approximately $225K in Waddell, AZ. Amy you and your team were very helpful in my short sale in the north Glendale area. I will seek your assistance once i am ready to purschase a home again. Thank you for your help. Thanks Pedro! Great working with you & we look forward to working with you again in the future! Sold a Townhouse home in 2015 for approximately $125K in Glendale, AZ. Amy was amazing! This was our first time buying a house! We bought our house out of state and she was very quick with responding to our E-mails and was so great with explaining the steps of buying a house! Bought a Single Family home in 2015 for approximately $200K in Surprise, AZ. Selling your home can be an extremely daunting task. Amy came highly recommended by people who are not very easily impressed, therefore I had high expectations. I have to say she more than exceeded her amazing reputation! I couldn't have asked for a better person to guide me through the process. All questions and concerns were answered along the way! I would 100% offer my stamp of approval to Amy and her team! Wonderful! The amount of knowledge Amy has helped make our closing as smooth as possible. She was easily available to answer any and all questions. Any roadblocks we hit, she was there to offer solutions. Such a pleasure to work with. We had a great experience with Amy! She's a pleasure to work with! My first time home buying experience was pretty incredible! I started my communication with Ray a little bit before I was actually ready to start looking. He was always very responsive and went at my pace which was exactly what I was looking for. He was so knowledgable about everything and took the time to answer all of my questions. I had a very narrow criteria and I don't know how he did it but he found the perfect house for me! Once I saw it I fell in love with it. He was determined to make the deal happen. He made my home buying experience enjoyable and took away some of the stresses that came with it. I know I will buy and sell in the future and Ray will certainly be my realtor! Bought a Single Family home in 2015 for approximately $200K in Waddell, AZ. Ray and Amy Barnett provided us with an experience we will never forget. As first time home buyers, Ray provided all the information and more that my wife and I needed to be absolutely certain about buying a house. Ray was very patient while we searched for the right one, and wasn't pushy what so ever to speed up the process. He knew exactly what we were looking for and what we could afford; by knowing this he provided us with numerous houses that met that criteria. Once my wife and I decided on the house we wanted and our offer was accepted, Ray was by our side all the way through closing walking us through the process. Being military, I know one day I will have to pack up and sell, but I have no doubt that I will be working through Ray and Amy Barnett again. My wife and I are more than pleased with Ray, and how he was able to make this first time home buying experience an enjoyable one. Thank you Ray and Amy!! Bought a Single Family home in 2015 for approximately $150K in Buckeye, AZ. Amy is always very quick to respond, extremely helpful, and very accommodating to her clients' needs. Her knowledge is very impressive, and she stays on top of everyone and everything till the job is done! Her team is very helpful also. Amy is bomb.com!! Thanks!! :) Appreciate the kind words! Sold a Single Family home in 2015 for approximately $250K in Towne Meadows, Gilbert, AZ. Ray was a great help in finding me a home that met my wish list. He didn't bother showing me places that didn't fit my criteria. Friendly, responsive, didn't push but did offer help. I would recommend to any one looking for a good realtor. Bought a Single Family home in 2015 for approximately $225K in Surprise, AZ. Ray Barnett was my agent for my recent home purchase in the west valley of Phoenix. I had several conversations with Ray and his wife, Amy, leading up to a trip from Seattle to Phoenix for house hunting. Ray made certain he knew exactly what I was looking for and helped me come up with a list of potentials to visit. Ray spent several hours over several days dedicated to showing me places on the list we'd created and giving me some other options as well. His knowledge of the home market, the West Valley area, and home building proved invaluable in helping me make the right decision for myself and my family. He is laid back in his approach to helping buyers. By that I mean, he let me into the homes, walked through with me, answering any questions that I had, but in no way did he ever try to push or sway. Once I decided on a home, Ray made sure I was well informed during the offer, inspection and closing processes. My home purchase went off without the slightest hiccup. Ray is very quick to return phone calls. Even talking to me during his own family's vacation. His help does not stop at the end of the sale, either. Ray has given me fantastic recommendations in regards to service people in the area. I could not have made a better choice than Ray Barnett and will recommend him and his team to anyone looking to buy or sell a home in the area. Bought a Single Family home in 2015 for approximately $375K in Waddell, AZ. Amy made the process of selling our home easy & no hassell. She priced our home perfectly. She was kind AND knowledgeable from start to finish. She was patient with us & kept us positive. Thanks Karin! Great working with you too! Sold a Single Family home in 2015 for approximately $225K in Surprise, AZ. Amy and her team were wonderful to do business with. They handled everything and did so in a prompt and timely manner. What sets Amy apart from other real estate professionals is her responsiveness to her client's issues and/or concerns. With her positive and upbeat attitude, selling my house was not a stressful event at all. I worked with both Amy (as my seller's agent) & her husband Ray (as my buyer's agent) during my last move. Both of them are top-notch & made this the best selling/buying experience I've ever had - in spite of super-tight deadlines because of a contingency situation. I would recommend either or both of them to anyone looking to sell or buy in the West Valley. Sold a Single Family home in 2015 for approximately $250K in Rancho Santa Fe, Avondale, AZ. Amy was phenomenal. She certainly has an excellent grasp and knowledge on the entire real estate business. She and her team are worth their weight in gold. I would definately do business with them again and I plan to do so. Ray is truly a dedicated professional and genuinely cares about his clients. He was there whenever I needed him (even after hours) and was always eager to help me in any way that he could. Ray kept in touch with me every step of the way and made sure that I was comfortable and understood what was going on in the process. Ray and his team of professionals are what every other team should strive to emulate. Care and concern is what counts when you're making such a huge purchase / decision in your life. I would definately do business with Ray and his team again. Bought a Single Family home in 2015 for approximately $250K in Rancho Santa Fe, Avondale, AZ. Ray Barnett was my buyer's agent while I was in the process of selling my old home & purchasing a new one (Ray's wife was my seller's agent). I chose them as they are both very knowledgeable about the areas I was looking to buy in, along with being highly in touch with the housing market. Ray also has quite a lot of knowledge about how houses are built, which was especially helpful to me. He directed me to a lender who was able to work out the financial aspect of a contingency purchase as I needed to sell my previous home in order to have funds to purchase the new one. As it happens, I found & placed a bid on the new place the day after negotiating a bid on my previous one. (Interestingly, Ray was also the buyer's agent for the individual who bought my old home.) The entire process from beginning to end was smooth sailing & I was in my new home in about 40 days (after we pulled the closing up a week, the details of which Ray handled as well). I've purchased 5 houses & sold 4 over the course of my lifetime & this was by far the best experience I've ever had. I would &, in fact, already have recommended both Ray & Amy to friends. I'm hoping not to move again for a very long time, but if that should change, I would work with the Barnett Team again in a heartbeat! Bought a Single Family home in 2015 for approximately $250K in Waddell, AZ. Amy Barnett has a likable and fast business style. She has a nice personality and expert in her field. She is always ready to respond sometimes thru her assistant, anything about selling my house. She inform me few times about the signing of specific document in the contract by the other party. Thanks Bernardo! Great working with you and Nenita as well! Amy Barnett is a great Realtor. Help me out tremendously. She is a go getter, quick to respond, very knowledgable. Highly recommend her. When the time is right I will use her again in the future. Amy is very knowledgable about the area. She provided us with the information needed to sell our home. Amy provided us with updates throughout the process. I would recommend Amy to sell your home. What CAN'T we say about Amy, she is pleasant, personable, efficient, knowledgeable, honest, respectful, helpful, and has a great sense of humor! We have bought and sold over a dozen houses, and this has been by far the best experience we have ever had. Amy even set a new record sale price for this model in our area, and sold it in a day...what an accomplishment! We couldn't have been more pleased with our decision to hire Amy and her team! You will not be disappointed!!! Sold a Single Family home in 2015 for approximately $300K in Waddell, AZ. Amy knows what she is doing and gave good feedback and analysis. She was professional , enthusiastic, and helpful throughout the process. She explained selling a house and all that her team would do for us in the days and weeks to follow. Sold a Single Family home in 2015 for approximately $150K in El Mirage, AZ. Ray was always there and responded whenever we had a question. If he didn't know the direct answer regarding loan information, he always had quality people who had the answer. Ray was friendly and family oriented. He didn't sell the home like a car salesmen trying to give you something you didn't want, he let the home sell itself and worked at trying to discover what we wanted in a home. He didn't try to out do our budget either or make us look at homes that weren't worth our time. This was extremely important to us because we had a crazy schedule with two jobs and kids. He was an awesome realtor but most importantly has become someone we can call a friend. Bought a Single Family home in 2015 for approximately $225K in Waddell, AZ. I just recently bought my first home and was very nervous, but Ray was a huge help in helping me through the whole process! Even with a few bumps in the road he walked me through every step of he way and made this an easy process! I could contact him at any time with and questions or concerns I had and he would reach me in a timely manner with everything I needed. Would highly recommend! Bought a home in 2015 in Fairwood VIII, Peoria, AZ 85345. Great to work with. Helped us immensely with our purchase process dealing with a foreclosed property and an incompetent closing agency (servicelink). Couldn't have done it without him. Bought a Single Family home in 2015 for approximately $175K in Surprise, AZ. Ray is an AMAZING realtor!!!!! He doesn't pressure you in any way shape or form and goes above and beyond the call of duty. He will go at whatever pace you want, and is very knowledgeable with every aspect of the journey. I wouldn't have asked for a better experience and would highly recommend Ray to anyone and everyone!!!! Bought a Single Family home in 2015 for approximately $200K in Deer Valley, Phoenix, AZ. Working with Amy during the sell of our home was a great experience. Amy understood how difficult the decision was for us to put our home on the market and made every effort possible to make it as easy on us as she could. She knows the market very well and walked us through each step. She always made us feel as though no question we had was a silly question and always responded quickly. If you decide to sell your home think of Amy, you will not have any regrets. She's the best out there. Sold a Single Family home in 2015 for approximately $200K in Litchfield Park, AZ. Amy is very professional , we really appreciated the way she handled everything. Quick to answer your questions .She sold our house very quickly. Has a Canadian we really enjoyed working with Amy Eric and Annie. Thanks so much Eric & Annie!! Working with Amy has been a wonderful experience. Her professionalism and expertise of the area are remarkable. Not only she priced and sold our home above our expectations but also much sooner than anticipated. I can recommend Amy to anyone buying or selling property. Thank you Amy. Thanks so much Bruni! It was great working with you also! Sold a home in 2015 in Webb, AZ 85355. This was our 3rd transaction with Amy and she is so friendly, knowledgeable and professional! Her attention to detail and her recommendations were spot on. We received a full price offer in just 3 days! She knows the market and knows her clients so she's easy to trust with your biggest transactions. Thanks Jenny! Great working with you again! Sold a home in 2015 in Shamrock Mobile Home Park, Glendale, AZ 85305. Amy was very knowledgable about the area and local market. She was available to answer all questions and very professional in all areas of her job. She was a pleasure to work with and we would definitely recommend her ! Sold a Single Family home in 2014 in Waddell, AZ. Ray helped my husband and I find our new home. Although our schedules meant for some early morning appointments, Ray was there with a smile on his face as he led us through our list of viewing appointments. He had a thorough knowledge of each home and guided us through the offer process when we found what we wanted. He helped us every step of the way through the offer, inspections, appraisal, and was sure to make us aware of every detail. He even offered referrals when requested on tradesmen we needed because he truly cared and wanted us to have the best experience possible. He stuck with us and we know we can refer him to others and will be our go to person should we ever decide to move home again. He took the stress out of the home buying process and let us truly trust his professionalism and experience. Bought a home in 2014 in Surprise, AZ 85361. Amy exceeded our expectations in her knowledge of the current market, how accurately she valued our home, and how quickly she had an offer for us. She handled everything perfectly and kept us up to date with the process as it progressed. Her professionalism and expertise coupled with her genuine love of her career made this a very pleasant experience for us. She is also smart, funny and light hearted while getting the job done. I hope more people can experience this level of satisfaction while selling a home and so I will highly recommend they call Amy for this truly stress free experience. Thanks for the kind works Caroline!! Sold a Single Family home in 2015 for approximately $225K in Litchfield Park, AZ. Amy got our house on the market beginning of September, and we had a full price offer that weekend! She made sure appraisal came in at the amount we expected, and stayed on top of our inspection as well. We did not have to rush on moving out, as our buyers were not able to move in until January. They closed yesterday with no complications. We have bought and sold five homes in three different states since 1993, and this was by FAR the smoothest home selling process we have ever had! Amy even sent us info on several existing homes, but we went with a new build. We truly appreciated Team Barnett's knowledge, expertise, and professionalism the whole way through! We were even able to give her brother-in-law our business when the inspection required the work of a roofing expert. That too was a great experience! Sold a Single Family home in 2015 for approximately $275K in Waddell, AZ. Amy was a true real estate professional. She always answered our questions within minutes and knew the business better than any real estate professional we have ever used. Amy knows the market and our home was priced perfectly to sell quickly at a fair price. Don't waste your time with anyone else, call Amy! Sold a Single Family home in 2014 for approximately $275K in Waddell, AZ. Amy was the greatest thing to happen to me! She was a pro at keeping me in the loop about every transaction, prompt in her return of emails and calls, and always explained everything so a first-time seller like me could understand. It also didn't help that I was living 1,500 miles away, but she was able to keep everything in a row and on time. Should I ever be in the area again I would use her in a heartbeat! Sold a Single Family home in 2014 for approximately $200K in Surprise, AZ. We were referred to Amy Barnett by another military family who highly recommended her. They said wonderful things about their experience selling their home. Considering that she came very highly recommended, without a doubt we contact her. Amy came to our property, introduced herself, and instantly are hearts were warmed by her presence. She came prepared by bringing a presentation of exactly she accomplishes as a Realtor, as well as comps of our area. Amy is one who shows compassion to all concerns and needs while keeping a realistic view for making a transaction successful. After knowing she was the one, we hired her. She put our house on the market and within two months we had two offers. At the time of the offer my husband was serving overseas while I stayed to care for our two children and sell our home. Amy walked me through the whole process of how I can accept offers, negotiate, inspection, Title Company, etc. The best part of the whole transaction was when she found us discounts that significantly lowered our closing cost. Throughout the whole process Amy explained everything so easily and made the selling experience effortless. We only wish she could be our Realtor in South Carolina when we purchase. We truly had a remarkable experience having Amy represent us in our life transaction and I can honestly say, hands down, no one could EVER top her. She is truly the BEST!!! Thank you so much for the kind words! I'm so grateful for the opportunity to work with your family! Sold a Single Family home in 2014 for approximately $175K in Waddell, AZ. Amy Barnett is the best she is very professional. she help to put together a deal for me from thousand of miles away. I was beyond Impressed with Amy professional . She is hands down one of the best thank you Amy. Thanks for the awesome review Jim! It was great working with you! Bought a Single Family home in 2014 for approximately $175K in Waddell, AZ. Amy is great! She is extremely knowledgeable of her craft, and well-versed in the local area. She found the perfect home for what I was looking for. As a first time home buyer, she patiently took the time to walk me through every step of the process, and was always very responsive. She made my home-buying experience a great one, and I strongly recommend her to anyone looking for real-estate services. Bought a Single Family home in 2014 for approximately $150K in Surprise, AZ. Amy was awesome! Amy was on time, all the time. She was very helpful and knowledgeable, when it came to listing our house. She had our house sold within 48 hours!!! Then turned around to find our family a bigger home, which turned out to be my wife's dream home. Amy thanks for everything you have done for our family. You were amazing! Sold a home in 2013 in McMicken, Goodyear, AZ 85395. Amy Barnett helped my husband and I purchase our first home together almost four years ago. She made our experience an amazing one. She answered every little question with amazing professionalism. She worked so hard with the sellers and the banks to get us right where we needed to be without delay. She constantly kept us up to date and was very honest and up front which we respected. I would highly recommend her to anyone. Bought a Single Family home in 2011 in Tonopah, AZ. Amy was awesome, we had wonderful experince house hunting (not a lot people could say that) Amy didn't pressure us into a house weren't sure about. Amy answered any question we had always she was great and responding to my emails/ phone calls/ and even text. I will recommed her hands downs to anyone who is looking for house. Amy helps you find the house you are looking for, so you could turn it into your HOME!! She is awesome!! Thank you Griselda! So happy for your family! Bought a Single Family home in 2012 for approximately $125K in Glendale, AZ. Amy came to us highly recommended and she did not disappoint. After our 1st meeting we knew we were dealing with one of the best. From day one she was in constant communication with us. Never once did we have to wonder what was going on. Her response to any questions we had was immediate. Her attention to detail and knowledge of the business is impressive. If you are looking for someone that will provide quality customer service, personal attention and is very knowledgeable, then Amy is the realtor for you. Sold a Single Family home in 2014 for approximately $250K in Waddell, AZ. We met Amy when we purchased our first home in Az. 4 years ago. We were looking for a two-story home with the master bedroom downstairs. It took a lot of looking but Amy remained patient and positive as took several hours and a couple of days to find the perfect home that met our criteria. Amy is personable and experienced with the skills needed to close a transaction with minimal effort. I highly recommend her and will choose her again if needed. Bought and sold a Single Family home in 2009 for approximately $150K in Goodyear, AZ. I have used Amy only once as my realtor, but was very impressed with her attention to detail. She was very responsive to every question I had during the entire home purchasing process. I am happy in the home I am in, but will contact her in the future if I decide to sell/purchase another home. Thank you Great working with you too! Bought a Single Family home in 2012 for approximately $250K in Litchfield Park, AZ. We have used Amy multiple times to sell and purchase homes. She is great to work with and has great knowledge on what's going on in the market. If you need someone that has your intrestst at heart Amy is your realtor. If we ever needed advice or wanted to see home right way Amy was available. Don't look any further she is the real deal. Thank you! I appreciate you contacting me again through out the years! I bought a home with Amy Barnett in late 2013. Amy treats her customers like family. We had some issues with our lender, appraisals etc. Because of Amy’s prior experience in lending, she was able to offer her expertise and delivered the solution that resulted in us getting our home. I highly recommend Amy-she is an excellent negotiator, has vast experience with the West Valley, demonstrates that she cares about her clients through quick responses, setting reasonable expectations, and effective negotiations. I wouldn’t buy or sell my home with anyone else. Amy is the most amazing realtor I have ever had the pleasure of dealing with. She walked me through every step of selling my house. Kept me updated along the way and did what she could to get my house sold!!! Amy was awesome! Amy was on time, all the time. She was very helpful and knowledgeable, when it came to listing our house. She had our house sold within 48 hours!!! Then turned around to find our family a bigger home, which turned out to be my wife’s dream home. Amy thanks for everything you have done for our family. You were amazing! Amy was awesome, we had wonderful experience house hunting (not a lot people could say that) Amy didn’t pressure us into a house we weren’t sure about. Amy answered any question we had always she was great and responding to my emails/ phone calls/ and even text. I will recommend her hands downs to anyone who is looking for house. Amy helps you find the house you are looking for, so you could turn it into your HOME!! She is awesome!! If you are looking for someone that will provide quality customer service, personal attention and is very knowledgeable, then Amy is the realtor for you.